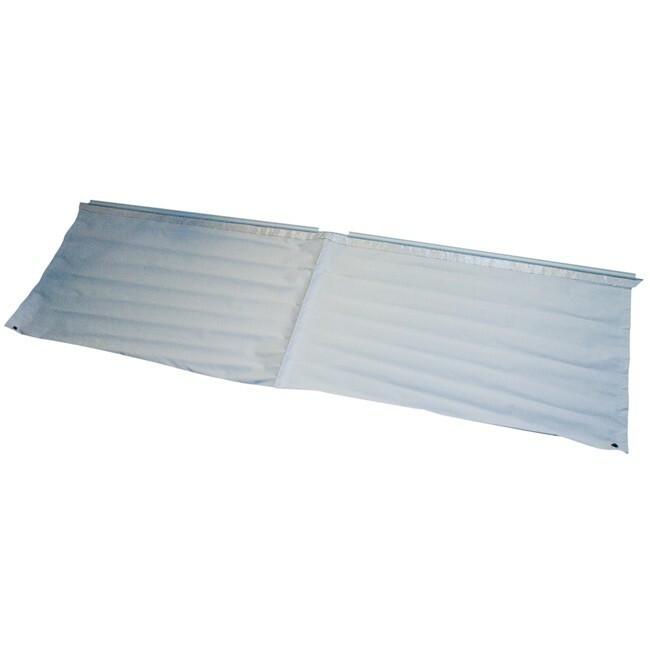 Double Wheel Arch Cover works with your awning skirt to exclude draughts from under the motorhome or caravan. Suitable for twin axle caravans or large wheel motorhomes or vans. Made from light grey PVC and fitted with beading and eyelets for easy fitting to your van. If you have an awning skirt rail above your 'van wheel just slide the beading through the rail. If you don't have a rail, turn the skirt upside down and fit the lever action suction pads provided to the eyelets in the cover. The figure 8 then weighs the cover down to keep it in place. 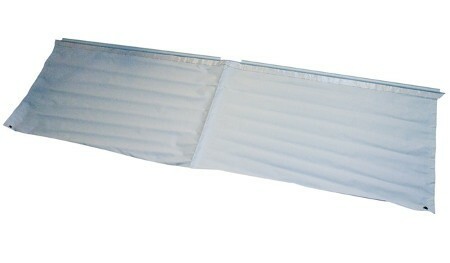 Sunncamp Platinum Double Wheel Arch Cover measures 164cm long and 50cm high to overlap with your awning draught skirt. Supplied with 2 pieces of 85cm long figure 8 to weigh the cover down.